at 6 Cortlandt Alley, New York. 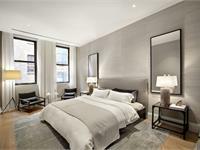 Sales for available units range in price from $8,975,000 to $8,975,000. 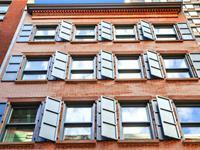 Six Cortlandt Alley has a total of 5 units. Sizes start at 3276 square feet. 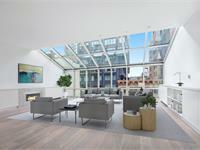 Six Cortlandt Alley has been meticulously restored and converted into five full floor lofts including two duplex penthouses with substantial private outdoor space. The six existing stories are crowned by a contemporary two-story glass addition. The building’s historic fabric is evident both outside and within the condominium. Its two distinct facades, one clad in marble and the other in red brick, have been painstakingly revived by historic restoration experts. The full-floor loft residences boast expansive proportions with ceiling heights stretching to 10’ and higher in all primary living spaces. The building’s historic fabric blends seamlessly with modern luxuries, as exposed brick-walls flank an eco-friendly ethanol fireplace with Imperial Danby Marble surrounds, and reclaimed heart pine window-sills fabricated from the buildings’ former floor-joists adjoin double-pane glass windows. 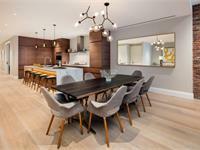 Custom walnut cabinetry provides substantial storage and pantry space. Countertops and backsplashes are made from honed Imperial Danby marble quarried in Vermont. A top of the line Wolf appliance package offers a vented five-burner stovetop, double wall oven and microwave. An integrated double-door refrigerator and separate subzero wine refrigerator come standard in all homes. 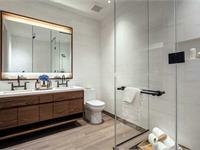 Five-piece master bathrooms are furnished with a glass-walled walk-in shower and separate soaking tub. Floor-to-ceiling Bianco Dolomiti marble wraps every wall, meeting Walnut Brown marble along the floors and tub-shelf. A custom walnut double-vanity with recessed back-lighting is complemented by anodized-bronze fixtures crafted in Brooklyn by Watermark, while floors are inset with radiant heating for a comfortable and spa-like experience. The master bedroom ensures quiet and peaceful nights. Accented by high ceilings and custom built closets with oak wood shelving, the master suite is the most serene space in the home. 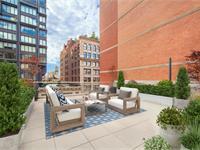 This crowning-jewel of Cortlandt Alley boasts a roof terrace with open City views. 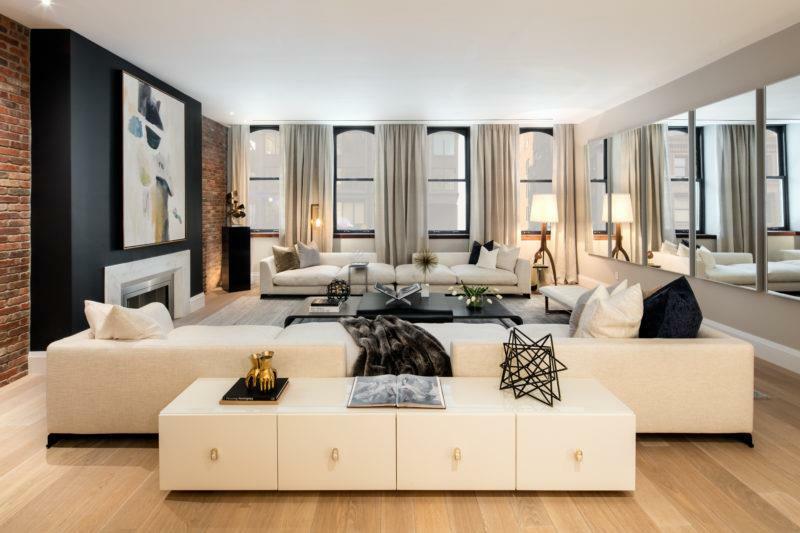 This four bedroom, 3.5 bathroom duplex residence, is a complete architectural departure from the historic fabric of Six Cortlandt Alley, complete with townhouse style living. This home’s living room includes open vistas to the west through its curtain wall glass façade, and upward views into the sky with its glass-clad ceiling. Striking stone accentuates the penthouse’s kitchen countertops, backsplash, and the living room’s fireplace surround. 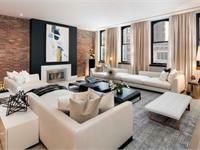 Penthouse B occupies the highest level of 6 Cortlandt Alley’s original structure. The dramatic entry is framed with a skylight and double height stair feature that ascends to a 1,283 square foot private rooftop-oasis?—?the largest contiguous stretch of outdoor space available within the building. 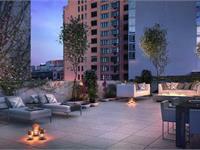 This terrace also comes reinforced to accommodate a hot-tub or small lap pool, and furnished with a gas grill. Your inquiry will be delivered to the Six Cortlandt Alley sales team, who will send you more information about this development.